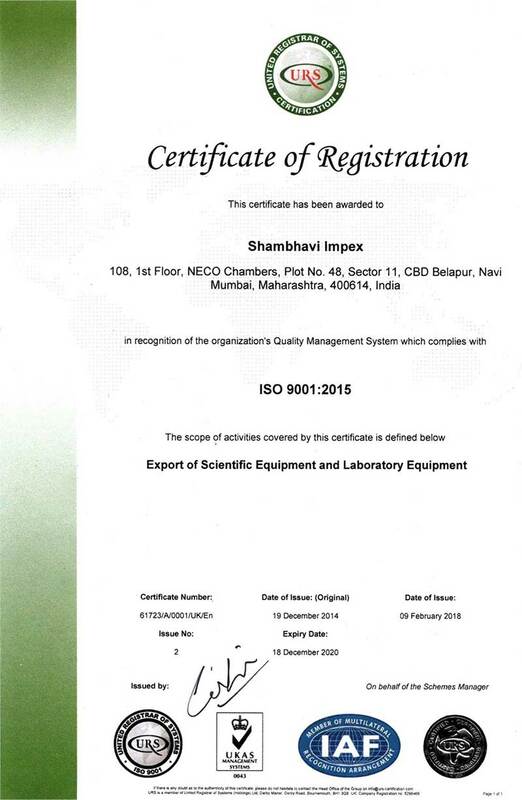 "Shambhavi Impex, an ISO 9001-2008 certified company, having interest and extensive experience in supplying Export Quality Civil Engineering Lab Instruments and Civil Labs Setups. Established in the year 2003 in Mumbai, the financial capital of India, Shambhavi Impex started exporting Laboratory & scientific equipment which are , used for analytical and lab testing purposes. Over the years, our range grown by more than 2500 products comprising of Pharmacy, Mechanical, Educational, Mining and Metallurgy.Our uncompromisable practice is to provide international quality products with best competitive prices follow with full support after sales to our esteem customers enabled us to win their confidence. Under kind guidance of our Managing Partner, Mr. Shekhar Narain (B.E. - Civil), with his several years of experience to execute various turn-key projects successfully in India & abroad, our team of engineering professionals are well equipped to serve our customers with end-to-end solution for their business requirement. Shekhar's passion of hard work and 'Customer First' attitude enable us to expand our customer base worldwide and multifold growth over the years. We have established business associates in North America, South America, Europe, Africa and Middle East. Our business associates around the globe enable us to serve our customers in best way. 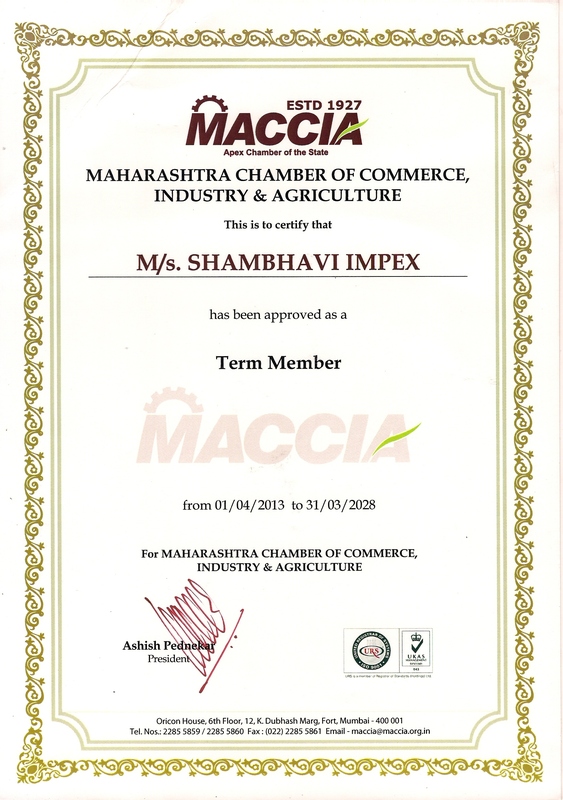 We are also a proud member of Federation of Indian Export Organization (FIECO) & Maharashtra Chamber of Commerce, Industry & Agriculture (MACCIA) to increase export performance of our Company. "Experience Shambhavi Impex once and allow us to prove above said statements."